Attainable runway lewks lie ahead. The runway is always rife with inspiration, but sometimes that’s all it provides: inapplicable inspiration. Thankfully, we’ve uncovered trends that can easily translate into your IRL wardrobe. Here, 10 wearable looks from the spring-summer 2017 season we’re dying to try. Given our obsession with statement earrings, we’ve amassed a collection of shoulder-grazing bobbles to last a lifetime. We’re still not over the look, so we’re taking Marni’s lead by mismatching our accessories. The runway season brought posi vibes with graphic tees. 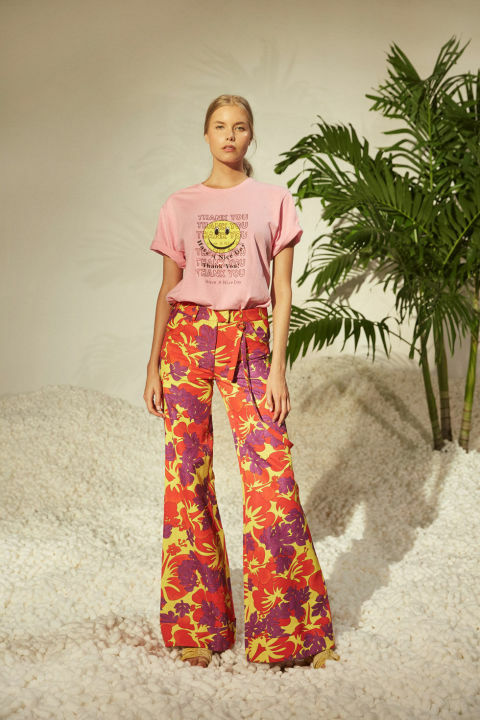 From this plastic bag-inspired shirt from Rosie Assoulin to Christian Dior’s feminist mantras, we’ll be letting our clothes speak for themselves this year. 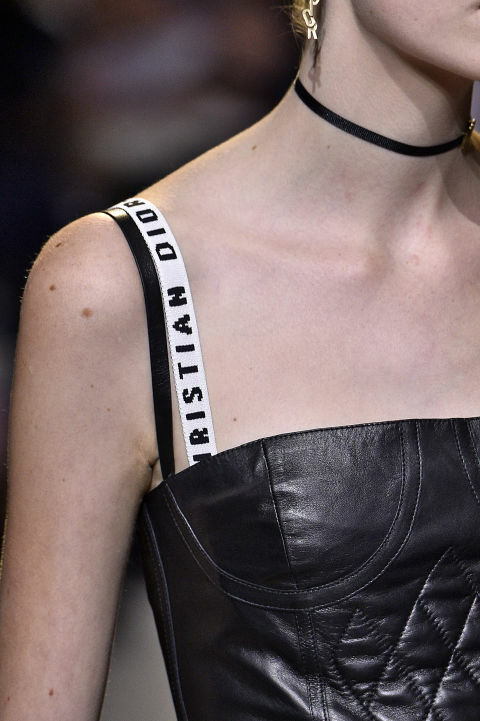 We might not be quite ready for this trend, but Maria Grazia Chiuri, creative director of Christian Dior, makes a good case. In her premiere collection for the Parisian house, bold bra straps were layered under corseted dresses in a throwback to the mid-aughts. Contrast straps are about to make a fierce comeback. Don’t neglect your feet this season. Apply Hermès’ ankle bracelet trick: Instead of a dainty chain, they wrapped a necklace multiple times around for this chunky, layered look. Who needs a crochet coverup when you can imitate a Miu Miu model? They layered retro bikinis with belted coats in an advanced class of beach-to-brunch dressing. That’s a thing, right? We’ve cycled through every hat trend possible recently―dad caps, a Gucci hat that rivals Rose’s in Titanic, and straw boaters worthy of a Van Gogh self-portrait. 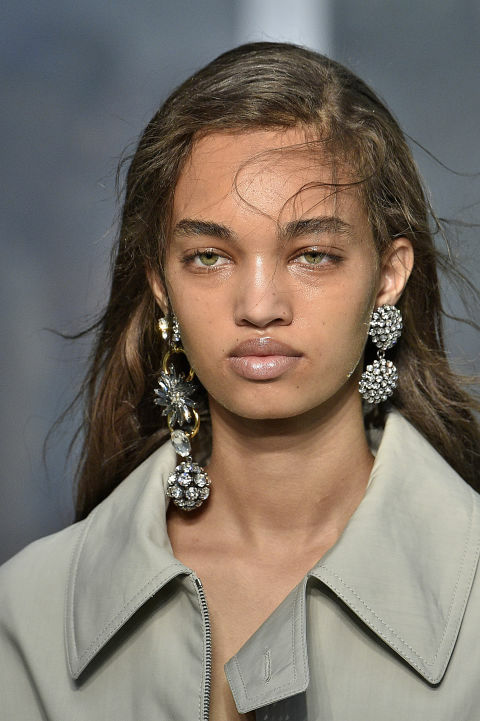 But the topped-off look of the season is a throwback to the ’90s, as seen on the Chanel runway: sideways caps we haven’t seen since middle school. Fringe is usually the trim of choice during the summer, but Prada piqued our interest with marabou fur. Lining everything from cropped tops to skirt slits, we suspect these boudoir feathers will make their way into our closets. Corsets can definitely be intimidating, but over a simple black dress they take on a shapely simplicity. Kylie Jennermastered the style by wearing a laced-up waist corset over a plain white tee. We’ve seen PJ sets and camisoles make there way into daytime use, but now it’s time to move on to another sleepwear-as-eveningwear item. At Jonathan Simkhai, the robe was the new silk shirt. Invest in a fancy robe and use it as a posh evening coat . 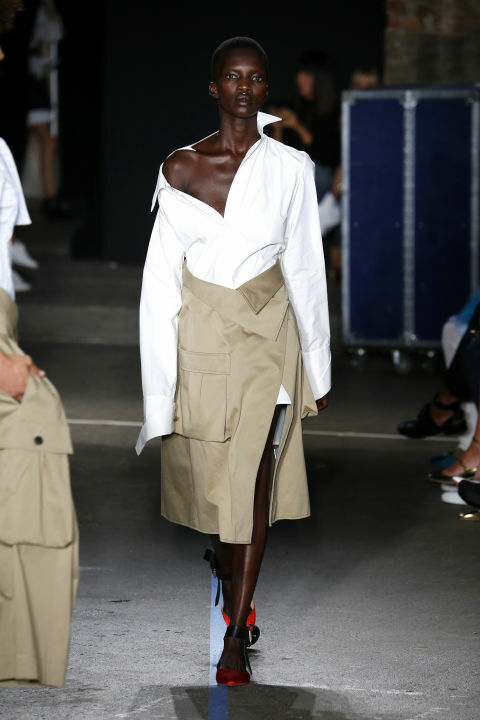 If you’re suffering from off-the-shoulder top exhaustion (because who isn’t these days), Monse has the cure. Slouch a button down or tank top for a Flashdance shoulder that gives you the same collarbone cleavage. Making The Tomboy Look Girly.